MMORPG and games alike: The Community. My experience. Hello everyone its been some time but I feel like a blog, Ive been stuck on Destiny and FFXIV with all the randomness going on in life. I would like to start off saying that I won’t really be doing the reviews I usually do and just go about with experiences and randomness i go through in Destiny and FFXIV and WOW when they release the new expansion. So if you want to continue reading my randomness thanks for your support. I wanted to start off with WOW because this is basically the bread and butter for MMOS this is the baseline. This is where all the MMOS want to be… and I know haters are lurking on this blog but this is my opinion about the game. The experiences I’ve gotten from this game are priceless when it comes to the gamer. From raising 5 guilds on my own 1 actually carrying 100 members always online with a total of 600+ members running around. I’ve lead raid groups into the lair of the Lich King and ended him with ease. Progression and Farm groups going through it all. After a bit WOW was sorta on and off and I decided to take a time out and try other games. Ive been through Diablo 3. Guild Wars 1 and 2, SWTOR, FFXIV, and the list goes on and on with free mmorpgs and random p2p types like ESO. My friend and I had this saying about wow. Its the girlfriend you always run back to. You think you want someone else but you always come crawling back for her because she does it right, she always has. WOW is pretty much that, the girl nextdoor the high school sweet heart. The community in WOW usually depended on two things, PVE Servers or PVP. I grew up in a PVP server in the years I’ve played WOW, Hell I actually got 18 years of PVE and PVP randomness starting off with Diablo 1. So many ears 😀 in my inventory. I basically molded my Online Persona through PVP though. I’ve had pvp fights in the world where I was lvl 68 and took down a lvl 70 arena geared warrior with my hunter. It was beautiful. My raid experience was another issue entirely. I don’t know how many times i’ve been called to be raid lead off the top of my head but it was 1 too many even when It wasn’t my guild or group. It was always something I would look for. I always wanted to be on that leadership role getting things together and it was amazing. Nowadays I tend to just like to sit and be apart of the group and see what happens. This game has been a huge iffy for me. Its been good at times and just bland at other points. Right now its the game thats holding me down and see how it all goes with the community that is presented to. Community is def the topic of discussion with this one. It seems to me as I progress more and more that this game is very fashion base and so much people bitching over retardedness. If i really had to review this game off the bat it would honestly get 6-7 out of 10 because the game gets bland real quick and the community is party responsible for it. I must have lucked out when I was in WOW because the people i delt with in my progression raiding new two rules in my group. 1 Its just a game and 2…. Progress over Kill. It’s just a game is basically tuning to the fact that even though my progression groups were serious about completely content it never left their minds that this is just a game. I find it amusing when people get stressed out over the factor of a game and I honestly think when people get to that level they need to log off. A game is a tool to enjoy, its entertainment. It seems that alot of people I’ve met through duty finders and raid groups and even pub groups take this game way to serious compared to the WOW people ive been around. People have gotten into fights over petty randomness because of the game which doesn’t make sense to me. I tend to grab the popcorn and enjoy their miseries. Progress over Kill is something that really needs to be said over and over for some people in FFXIV. You got a boss that has 3 phases and You know that the content is fairly new but for some reason you expect the kill to happen that night. That mentality ruins a group quickly. Usually raid leads who run with this mentality fail this part along with rule 1 in my guidelines. Before you know it people are arguing and are stressed. My thing is I rather see that I got from 90% to 60% for the week and I am happy because I know in time we will be able to clear it but not just yet. You gotta get the small stuff out the way first before goin all out. No teacher shows a whole dance routine off the bat and expects you to do it right off the jump. Makes no sense so why should leaders have this same mentality. This game also has a huge fashion sense, I feel like its Ru Paul’s Drag Race all over again because every other friend of mine has a girl character and is getting them real pretty up. Some use the excuse of I don’t wanna stare at a male all day but my psychology in all this tells me that they have to express their femme side. Over all the game has been pretty decent but end game seems to be a bit basic. Also the game only came out a year ago and we got too many hot head elitist running around yet create the same mistakes that they yell at others for. 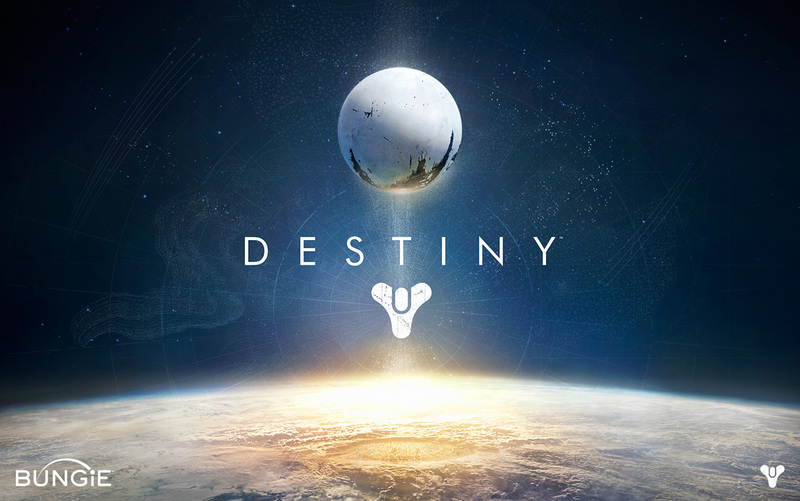 Destiny is the new kid on the block but they don’t want to be called MMORPG. It has alot of RPG materials but not MMO. So we will stick with Online FPS RPG lol. This game is great because I love FPS games and for it to perfect RPG elements into unlike the fail in borderlands imo. Though alot of the destiny heads in the community don’t come from WOW or FFXIV or any other RPGs… they come from COD… so many from COD which is not a good look. Its like telling a jock to learn trigonometry. Ok so thats exaggerating but I’ve delt with some people recently that basically proved my point. Had a weekly strike that needed to be done. At the time I had the lvl and I think the other guy did but someone in the party was low for the strike, I didn’t know about the 10% dmg reduction that would give us hell later on. The fights lasted damn near forever and was crazy at times but we got through most of em cept the last boss. I started to realize that the boss started to show its mechanics. Boss goes wild attacks and draws back and adds. rince and repeat. i tried to explain to the guys that factor but their mind set was focused on we can kill him just ignore the adds. MMORPG Mechanics Rule…231298b section A291. You never ignore adds unless you are over geared for the situation and adds disappear on boss defeat. >_> sorta made some of it up but its common sense for people who have been playing mmorpgs all their life. I tried to explain and was ignored…. we died over and over again i tried to take the adds myself and even tried to get them to focus fire from a certain side but people wanted to be heroes and run across the open plain with all the shooting going on. Eventually one of them gave up and we all just gave in. I really hope these people understand the concept of this game or its going to be rough for them when raid time comes in lol Over all the community for this game is lacking and the social build for it is also lacking hopin that in time it will get better.